Lady Gaga on the red carpet at the 91st Academy Awards. Checking out the glitz and glam of the red carpet leading up to the 91st Academy Awards at the Dolby Theater in L.A. on Sunday, February 24 may have been more fun that watching the actual award ceremony itself! So many breathtaking, jaw-dropping jewels worn by A-list celebrities drew our attention and made us take a double-take, and we’re here to share it all with you from the most sparkling earrings of the night to statement necklaces, and more. 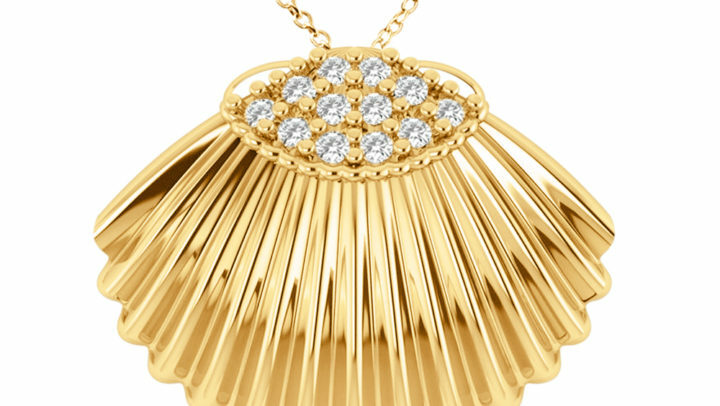 We’ve singled out the most noteworthy jewelry and accessory pieces seen on the red carpet, and here they are. Following the performance the New York Times published an article about the yellow diamond necklace, which the singer wore with matching earrings, and explained that its a 128.54-carat stone that was last seen on famed actress Audrey Hepburn in a publicity shoot for “Breakfast at Tiffany’s.” Hepburn apparently wore it during a press tour in 1961 and that was the last time it was seen in public, until now. 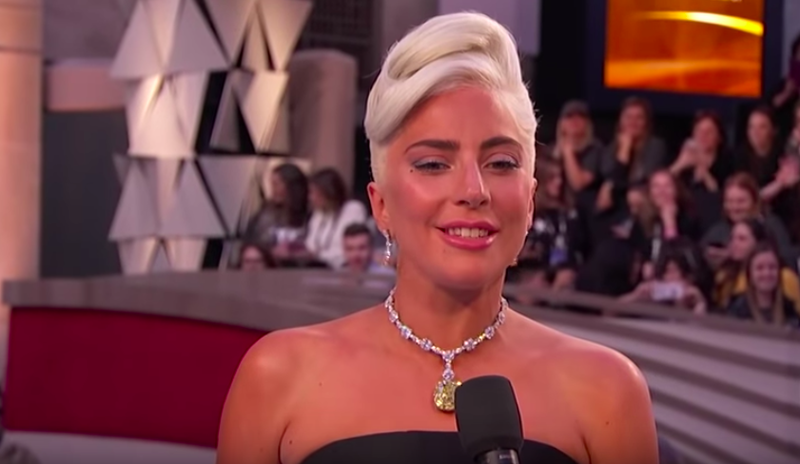 The necklace is 141 years old, worth $30 million and according to the New York Times, it’s likely one of the biggest jewelry deals in red-carpet history. Hilarious memes on social media compared the eye candy to the insanely enormous (and probably fake) yellow diamond necklace Kate Hudson wore in “How to Lose a Guy in 10 Days,” and some people joked that they were filming another “Oceans Eight” movie at the award ceremony because the necklace was so worthy to be stolen. 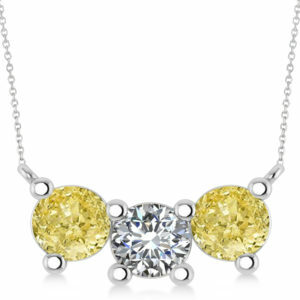 A three stone diamond & yellow diamond pendant necklace 14K white gold (3.00CT) by Allurez. We love necklaces piled on top of each other and also dainty, delicate pieces, and apparently so does actress Amandla Stenberg. Though we’re used to seeing massive statement necklaces on the red carpet, “The Hate You Give actress” on Sunday night opted for a delicate charm necklace and diamond drop earrings for a statement-making effect in her own way. “BlackKklansman” actress Laura Harrier definitely wore the best matching set of the night by accessorizing her sustainably sourced Louis Vuitton gown with a Bulgari emerald, rubellite and diamond necklace and matching bracelet. 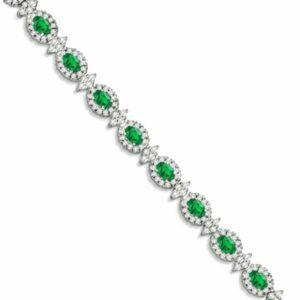 emerald and diamond flower fashion bracelet in 14K white gold (10.40CT) by Allurez. 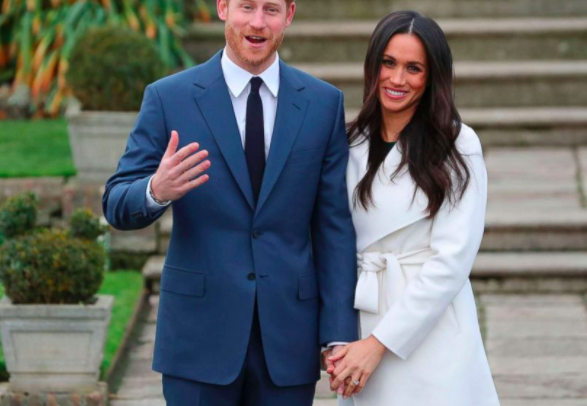 We just can’t get over these two looks! First up is Constance Wu, star of “Crazy Rich Asians,” who wore on the red carpet floral drop earrings made of diamonds and genuine topaz to go with her canary yellow Versace frock. Secondly, we were drooling over Regina King’s diamond drop earrings. Could it be because we’ve seen it before? Well, they were the same Chopard earrings that actress Priyanka Chopra wore to her wedding to singer Nick Jonas last year. 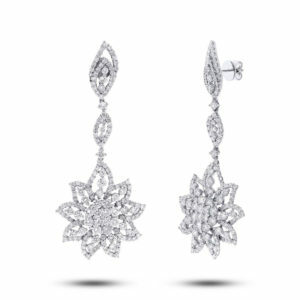 18K white gold diamond flower earrings by Allurez. A presenter at the Oscars, actress Allison Janney complimented the plunging black neckline of her outfit with a necklace that had nearly 60 carats of heart-shaped rubies. Her choker was a perfect contrast to her all-black ensemble. 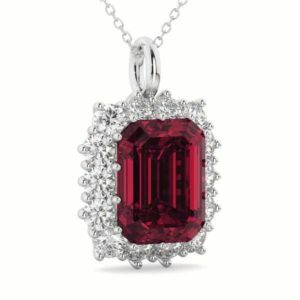 Rubies are so appropriate now that we just passed Valentine’s Day, with red being the color of love, and the gemstone is a favorite of many celebrities. 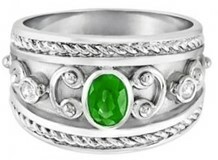 The ruby, which is the birthstone for July, is also the gem for the 15th and 40th anniversaries. 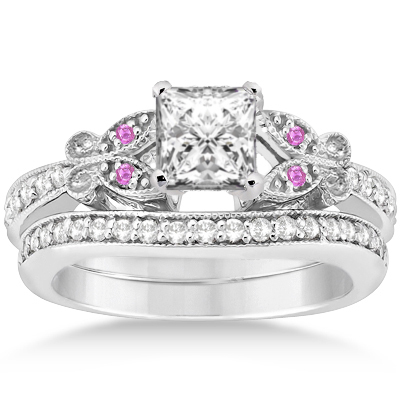 Many celebrities have decided on ruby engagement rings in the past including actress Eva Longoria, from the former TV series “Desperate Housewives,” singer and actress Jessica Simpson and her sister, singer Ashlee Simpson. 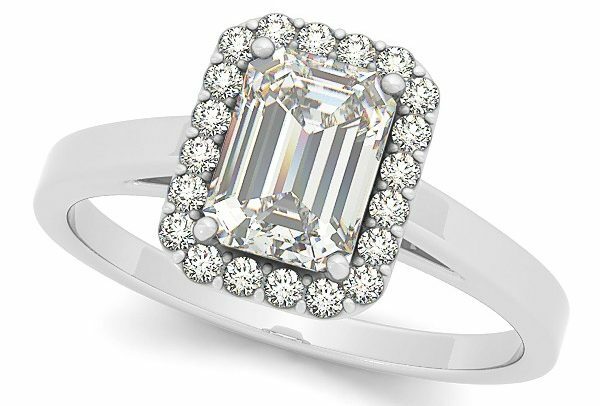 Emerald cut ruby & diamond pendant 14k white gold (5.68CT) by Allurez. 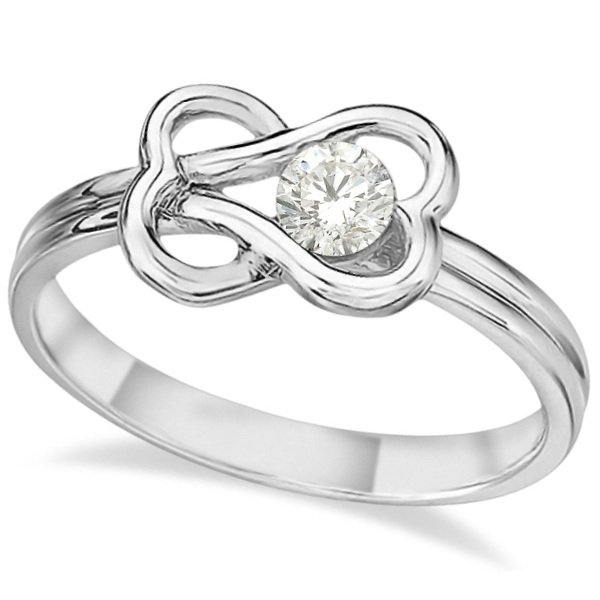 We love it when stars get creative! “The Favourite” actress Rachel Weisz’s hair accessory looked like a headband and its beauty kept us staring, but then we found out it’s actually a collection of vintage diamond brooches by Cartier dating back to 1903. Who doesn’t love a blingy hair accessory?